The magazine’s definition of “storyteller” is broad, including such weirdoes as David Bowie & Kate Bush, Tim Burton & David Lynch, Franz Kafka & Dr. Seuss. Weird Tales was spawned in 1923 and is accused of launching the careers of H.P. Lovecraft, Ray Bradbury, and Robert E. Howard (Conan the Barbarian). Originally buried in 1954, the magazine attempted to rise several times between then and the late eighties when it began creeping people out more-or-less continuously to the present day with grotesquery from Tanith Lee, Ramsey Campbell, Thomas Ligotti, Nina Kiriki Hoffman and others. 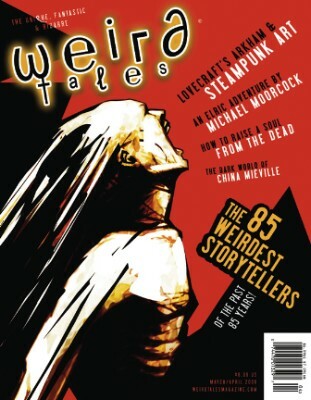 Surprisingly, JCO has never had an original story in Weird Tales; perhaps that will change.